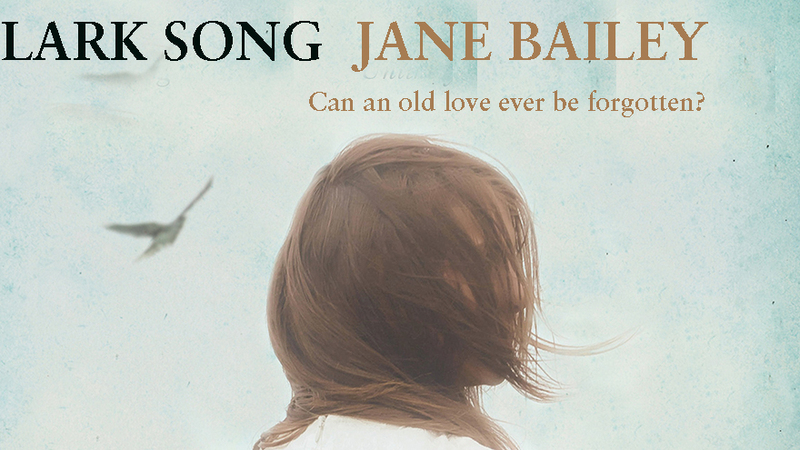 > Jane Bailey | Lark Song | Can an old love ever be forgotten? 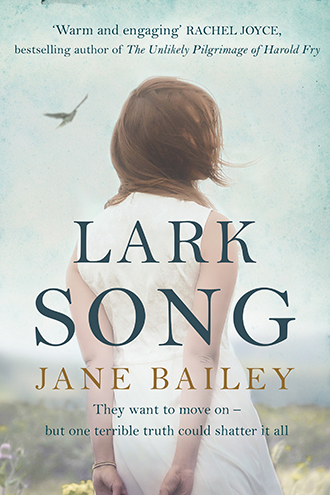 Jane Bailey | Lark Song | Can an old love ever be forgotten? Author Jane Bailey presents us with wonderful characters in the form of Freya, single mum-of-three and her unlikely beau, Duncan, divorced, middle-aged and seemingly doomed to be stuck in a dull routine till death overtakes him. When the two meet, sparks fly, despite the downpour that brings them together. Soon they are lovers rather than friends. But there are more than the usual obstacles in their way. Freya’s late husband Reuben had been in Africa organising water supplies for his charity when he was eaten by a crocodile. The sudden and abrupt manner of his death means he is idolised by his widow and children. Pictures of him hang all over the house, even above the bed in the master bedroom, which has the unfortunate effect of putting Duncan off his stroke! Can another man take Reuben’s place? Freya’s children don’t want a new father figure. But gradually, they warm to Duncan. Will, gay and unhappy, finds him a good confidant; Jack becomes his walking companion, shedding weight along with his eating issues and little Sophie finds him a willing playmate in all her imaginary games. But of the three children, Sophie seems most affected by her father’s death, pulling out her eyelashes and indulging in quite violent games with Matilda, the bad Barbie doll. 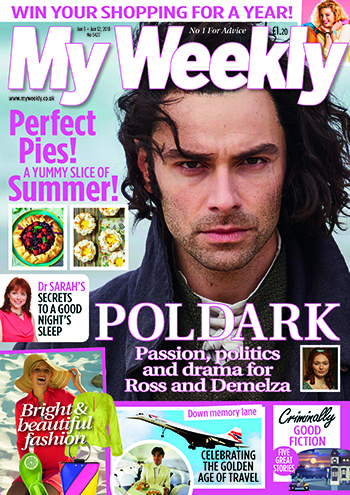 And reaching out to Sophie leads to more complications for poor Duncan … especially with his mother-in-law Sylvia. That formidable woman is adamant there will never be another man in her son’s place and causes trouble for Duncan whenever she can. Then Duncan discovers something about “Saint” Reuben that will change everything for everybody. What if Reuben wasn’t the perfect husband, father and son …? But revealing what he suspects might mean losing the woman and family he has come to love. Poor Duncan – in so many ways his situation reminded me of nothing more than the unfortunate second Mrs deWinter in Daphne du Maurier’s Rebecca! Like her, he has to live up to the idealised image of a dead partner. He even has to face his very own Mrs Danvers in the shape of Sylvia. Freya is a lovely woman. She is brave, kind, funny and warm and deserving of lasting happiness. Each child is delightfully and sympathetically drawn. But it’s little Sophie who really captures the heart. She, more than anyone, needs Duncan’s nurturing hand. 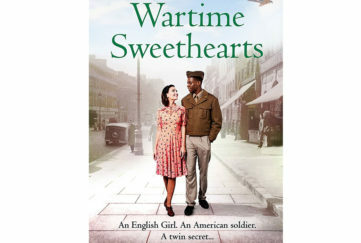 But will she be allowed to let him replace her missing father in her affections? 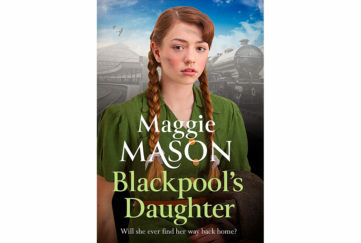 The story is told at a gentle pace, with lots of humour and wit – who can ever forget Gloria, the morose sheep – but as events unfold and secrets are revealed tensions rise. 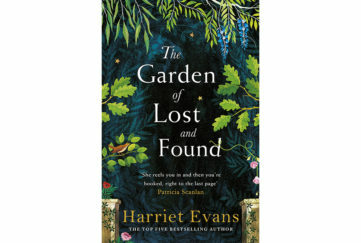 The reader is kept gripped by a story that is funny, tender, thoughtful and romantic, all at once – I loved this book.